About 30 years ago we initiated the European Stroke Conference ESCin Düsseldorf, Germany – attended by 720 scientists and clinicians. The participants, mainly from Europe, were by plan to encourage exchange for the increasing efforts among European stroke researchers. 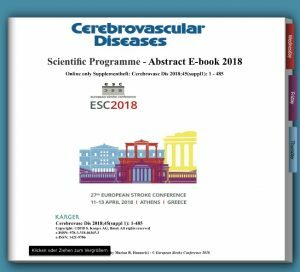 This meeting was to be separate from the Stroke Meeting in North America, sponsored by the American Heart Association, which drew few stroke research presentations from European scientists, even though it gave itself the name the International Stroke Conference – ISC. 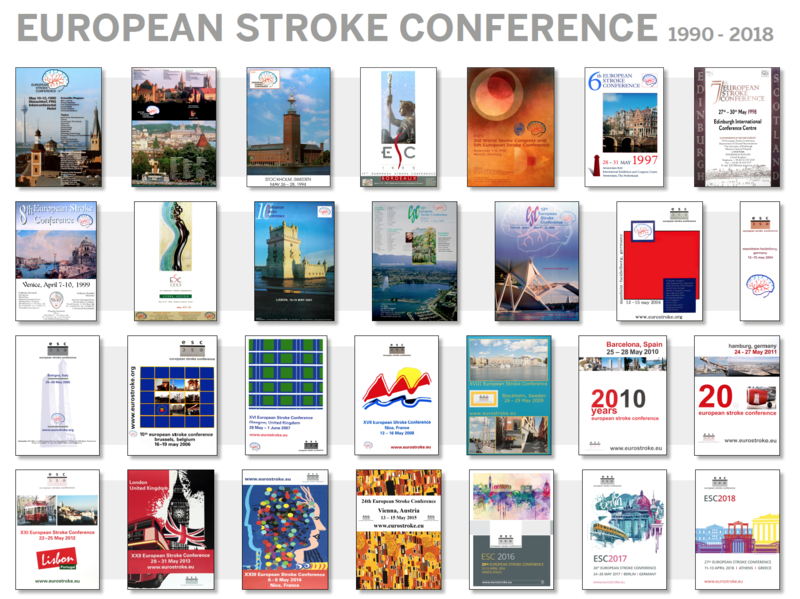 Over 25 years the ESC grew to become the world’s biggest stroke meeting – with about 4000 participants at the Nice 2014. 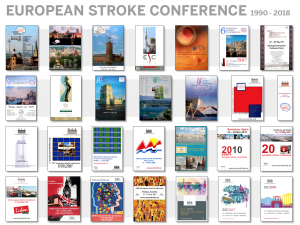 During these years the ESC always met in attractive cultural places with increasing crowds drawn to clinical and basic science, lectures, and teaching courses around news in stroke research, with a stress on collegiality and friendship. In the succeeding years, Vienna (2015), Venice (2016), Berlin (2017) and Athens (2018) the ESC faced competition from an increasing number of new meetings spawned in part by the awareness of the success of the ESC. It continued but without the inadequate ballast of industry/pharma lobby-related company sponsoring. Our meetings continued to attract attendees from an expanded global representation, featured more science, expanded the scope of stroke-related specialists beyond neurology, offered better time schedules for education and interaction, and introduced awards to young researchers up to 50.000 € annually . The anonymous, strictly quality-related selection processes worked under the auspices and support of the newly founded European Stroke Research Foundation ESRF – at the expense of a minor amount of attendants. Please find the Abstract E-book 2018 including all abstracts and figures here! Videos from the 27. ESC in Athens are on our “OnDemand” Vimeo Account available! 27. 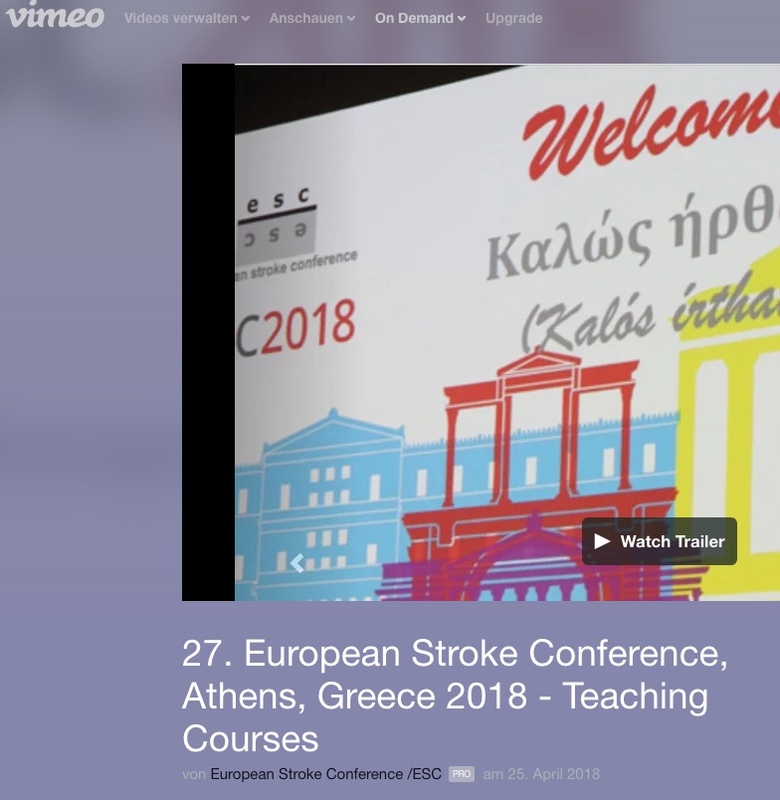 ESC Welcome – Prof. K. Spengos, Chair from European Stroke Conference /ESC on Vimeo. Just a view words from the expert…. Welcome to the 27. European Conference in Athens, Greece 2018! We would like to announce the new pillars of the European Stroke Conference! Independent, innovative and open to the world: the ESC as the science conference of the European Stroke Research Foundation (ESRF) brings together outstanding experts from all over the world. From now on, we will reinforce our work independently of political societies and without influence by commercial interests. For further information visit our facebook and twitter profile! The European Stroke Conference 2018 is just around the corner and we are happy to announce that the final scientific programme including all speakers is now available on our conference website. The session planner is available here! The scientific programme features scientific symposia, plenary lectures and teaching courses. Oral and poster presentations from submitted abstracts will complement the programme and give space to younger researchers to get in contact with international experts. – supports the ESC since 2014 and will support the 27. ESC in Athens with a very high volume of money for awards, travel grants, symposia…. Please visit our website from time to time, or join us on Facebook and Twitter – we keep you informed and we are looking forward to see you all in Athens 2018! The ESC is financially independent from any profit-oriented organisations!